Look for interesting recipes. Kids typically have a short attention span. If they’re not interested in the final result, they probably won’t be interested in helping out. Keep tasks age-appropriate. You wouldn’t give a 3 year-old (yes, even 3-year old’s can help!) a knife, but you may feel comfortable with having your 10-year old cut some of the ingredients. Find recipes that use shortcut methods since you’re probably going to need extra time. This goes hand-in-hand with our first tip. Since kids usually like to move on to other things pretty quickly, finding a recipe that’s uses shortcut ingredients or methods can move the recipe along before the kids get bored. Make it fun. Play a little music, make up silly words for directions, or make funny faces with your ingredients! When working with kids, you can’t expect perfection. If you don’t make it fun they may not want to help out again. By the way, fun can be educational too! Now that we’ve got that out of the way, I thought I’d share some fresh ideas for making dessert when you’ve got kids in the kitchen. 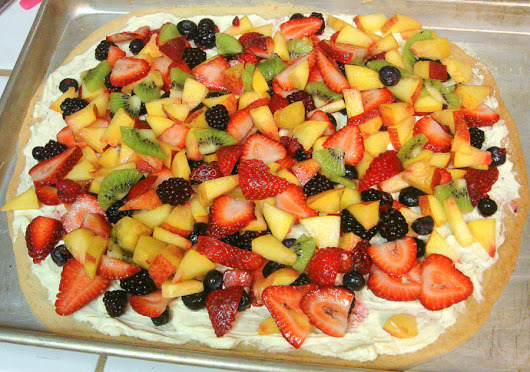 All of these recipes use fresh, frozen or refrigerated, ingredients (like frozen fruit!) to make your sweetest dreams come to life! Just imagine the ease of getting most of your ingredients right from the freezer case! Best part? Kids will love making them, and you’ll love spending quality time with them in the kitchen! 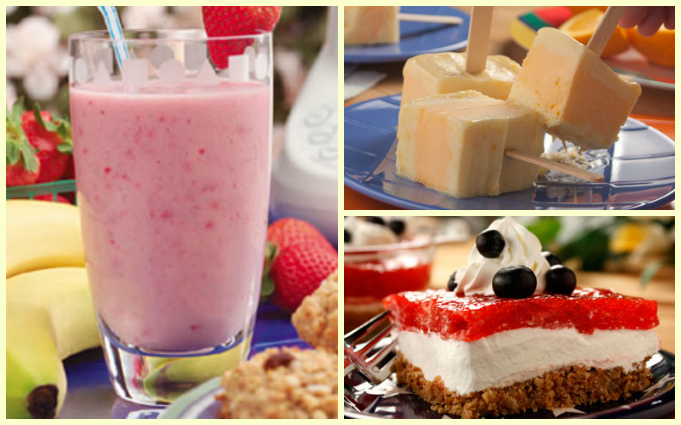 Here are just a few of the fresh and healthy dessert ideas you can make with your kids! Yum! These brightly-colored dessert options appeal to kids and adults, too! 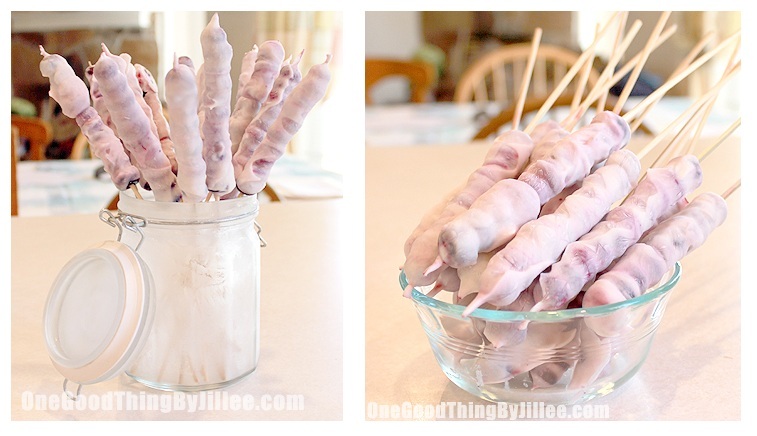 Or these easy-to-make Frozen Yogurt-Covered Blueberry Kabobs from One Good Thing By Jillee! I know, I know, I wish I could reach into the screen too. 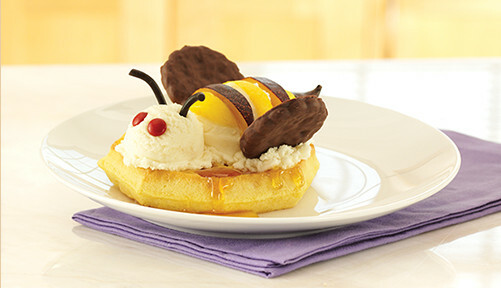 Kids will love putting this cute little bee together! 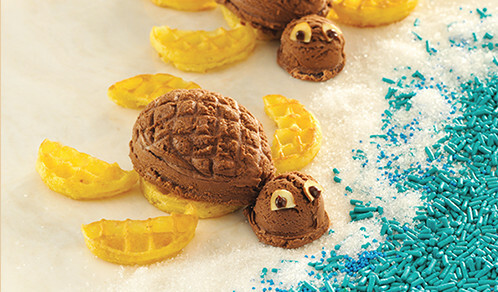 Check out these turtles, swimming into a sea of blue sprinkles! 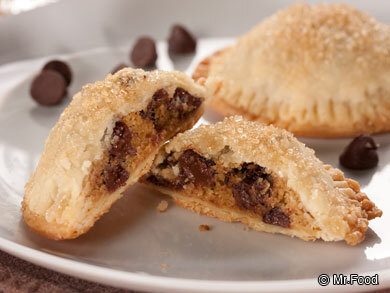 I hope you all enjoy making these sweet treats with your kids! If you have any other great kid-friendly desserts you’d like to share with us, or if you have any other tips you think I may have missed, please let me know in the comments below!